Apple Cider Caramels were a huge hit, and after snacking on more than my fair share, I used them in these salted caramel apple crumble bars and caramel-stuffed brown butter cookies. Not bad at all. The extra step of reducing apple cider down to a thick syrup really takes these little babies to the next level of caramel perfection. Strawberries and balsamic vinegar is one of my very favorite flavor combos, and to use it in a thick, creamy, and luxurious ice cream makes it even better. The subtle flavor of the vinegar isn't overpowering here, it just adds an extra complexity and depth of flavor to the ice cream. 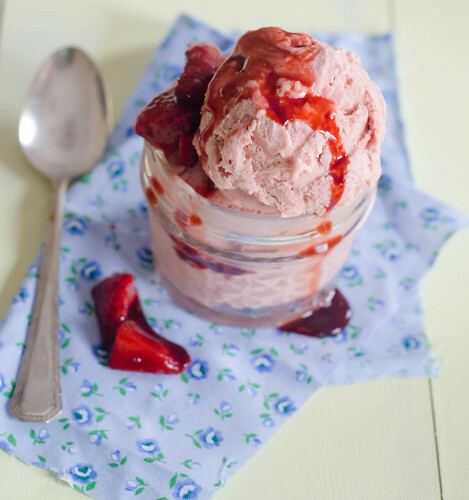 I really cannot wait to make this balsamic strawberry ice cream again this spring. 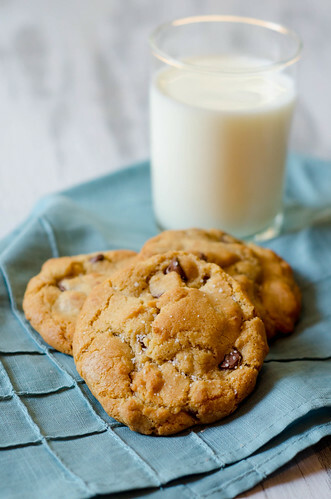 Chocolate Chip Cookies with Browned Butter, Nutella, and Sea Salt. I feel like I don't even need to say anything else here. 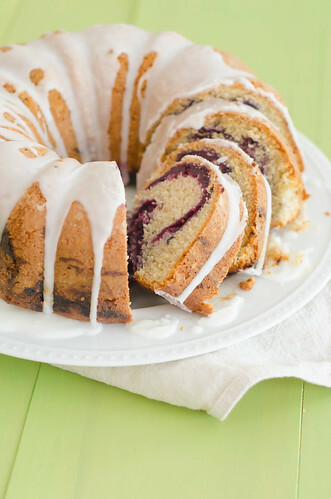 When I made this Blueberry-Swirl Bundt Cake, I caught myself eating bite after bite every time I wandered into the kitchen. It was bright, sweet, and so so good. And it's perfectly acceptable to eat it for breakfast. 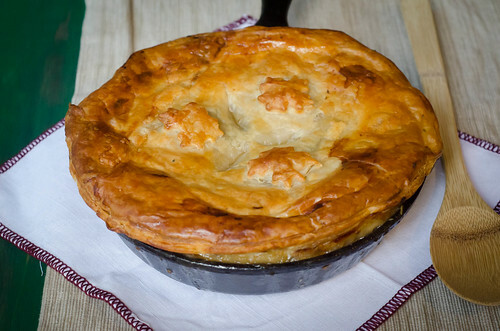 Autumnal Chicken Pot Pie has been a family favorite for a few years now, so I was really excited to finally share it with you guys. It's a pretty standard pot pie, but with the addition of butternut squash, mushrooms, and sage, it definitely takes advantage of beautiful fall produce. 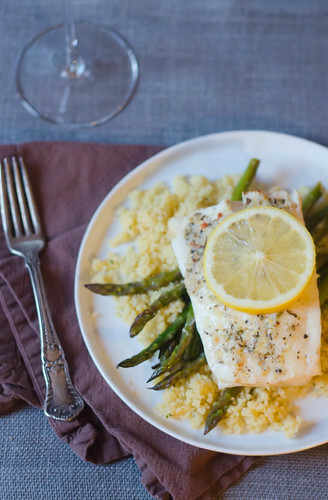 Plus, you cook it in a cast iron skillet - one of my favorite ways to serve dinner! 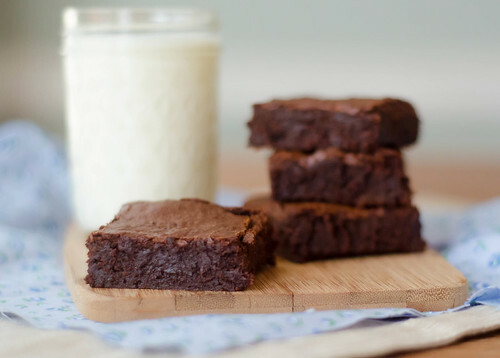 Here's another recipe I was holding out on you guys - sorry! 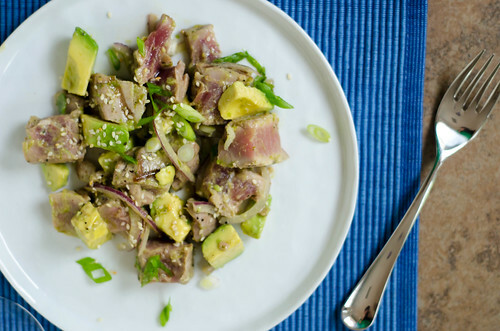 Grilled Tuna and Avocado Salad was one of the first dinners I made after we got married, so it's always held a special place in my heart. It's so bright, fresh, and summery, and man does it make me miss hot weather! 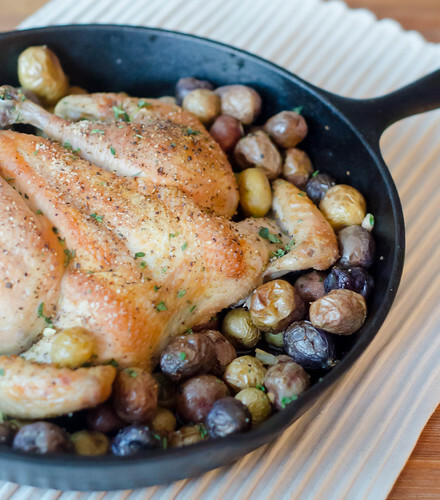 This Flat-Roasted Chicken with Tiny Potatoes was not only one of our favorite dinners of the year, but it also led me to master my spatchcocking technique! I finally understand what the fuss is about roasted chicken! 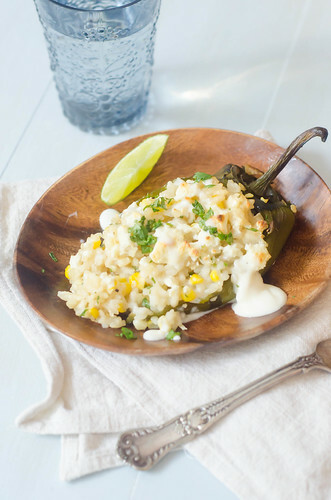 Corn Risotto-Stuffed Poblanos combined so many of my favorite things: sweet corn, risotto, beer, and poblano peppers. It was such a great summer dinner, and one I'll definitely be repeating for years to come. 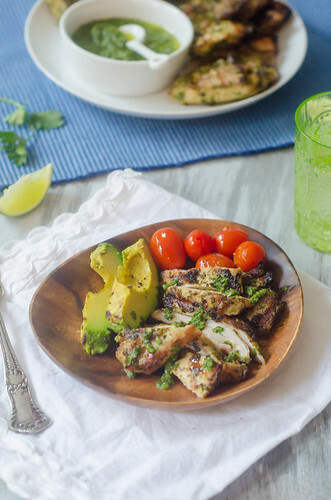 It's not very often that I repeat recipes, but this Spicy Cilantro-Grilled Chicken made many appearances on our table this summer. Served with fresh watermelon and grilled corn on the cob, it really was my favorite summer dinner. And pssst - the leftovers made some killer nachos! 2013 was the Year of the Pizza. Seriously, we probably ate homemade pizza 3-4 times a month - both because we love it so much, and because the kids are obsessed with helping me make it. And out of all the pizza we made and ate, Pizza alla Vodka was by far my favorite. 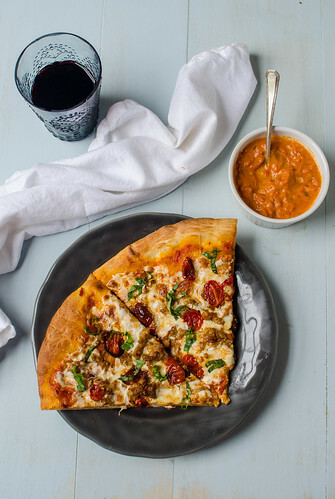 Vodka sauce, spicy sausage, roasted tomatoes, and fresh mozzarella. Yes, please. 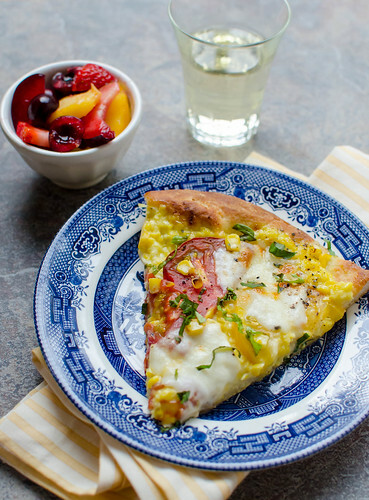 I know it sounds really weird to use a corn puree as the sauce on a pizza, but I'm begging you to make this Pizza with Corn, Tomatoes, and Mozzarella this summer. 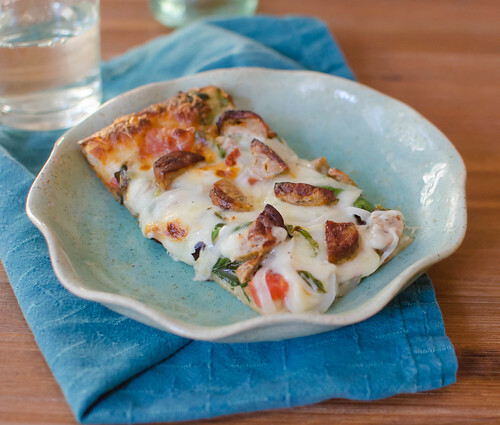 It may not seem like anything special, but there's something about this Sausage, Provolone, and Spinach Pizza that we just love. I almost always have all these ingredients on hand, so it's perfect for a last-minute dinner, and it always hits the spot. 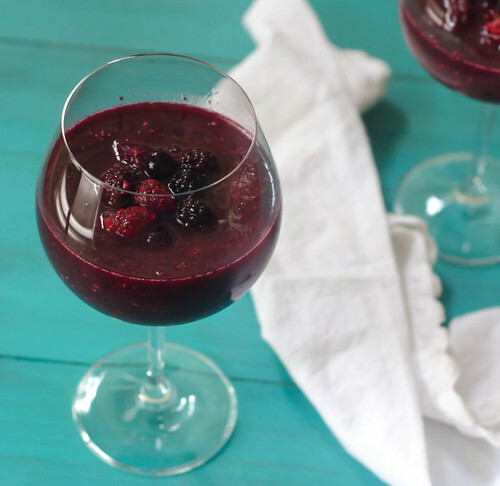 Using my ice cream maker to create frozen boozy drinks was a total game-changer for me, and Sangria Slushies were a major home run. Is it a cocktail? Is it a dessert? Who cares! Over the course of the past 3 years, I've kind of forgotten what it's like to eat for only one person. I've gone from pregnant to nursing to pregnant with twins to nursing twins, and in that time have pretty much just eaten whatever I wanted, and pretty however much of it I wanted. While I generally eat pretty healthy, snacking, late-night desserts, and portion sizes were definitely out of control; so needless to say, once I weaned the twins this fall, it kind of all caught up to me. Thus, I've been counting calories via My Fitness Pal. It's been eye-opening to say the least, and has definitely helped me to get a handle on it all. It's been a good reminder of how much food I actually need versus how much I eat. Tracking my calories definitely helps to reign in mindless snacking, cut down on the fancy calorie-bomb coffee drinks, and just generally keep me in check. However, over Thanksgiving, I threw all my good habits out the window, and as we all tend to do over the holidays, I ate waaaaay too much. Pie for breakfast? Okay! Gravy on everything? Why not?! By Sunday afternoon, I NEEDED something wholesome, satisfying, and healthy. Enter this quinoa stew. 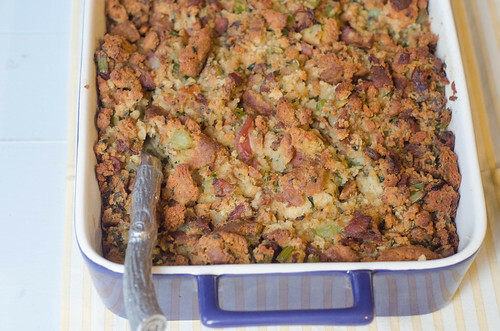 I had plenty of leftover turkey meat, I'd already made a big pot of stock, and I had a good assortment of herbs leftover from all of my Thanksgiving cooking; so I threw this together for dinner that night. It was healthy, hearty, and just what I needed to get back on track. I've taken to using quinoa instead of rice in many recipes, and I love that it provides extra protein and fiber, while still giving you that "starchy" comfort food feel that you get from rice. With tomatoes, spinach, carrots, and onions, this isn't short on the veggies, but I think mushrooms would be lovely here as well. 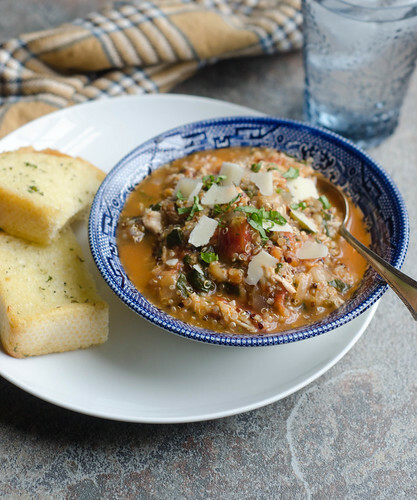 It's a simple, one-pot recipe, but paired with some garlic bread, makes for a comforting and cozy winter meal. We all loved this stew (especially Henry and Tucker! ), so it will definitely be making repeat appearances in the next few months. I know everyone is pinning and saving recipes for Christmas cookies, candy, cakes, and cocktails, but you still have to eat dinner. So why not make it healthy? Heat the olive oil over medium heat until shimmering, then sauté the onion and carrots until softened and beginning to brown, 5 to 8 minutes. Add the garlic, thyme, oregano, tomato paste, salt, and pepper, and cook, stirring constantly for an additional minute. 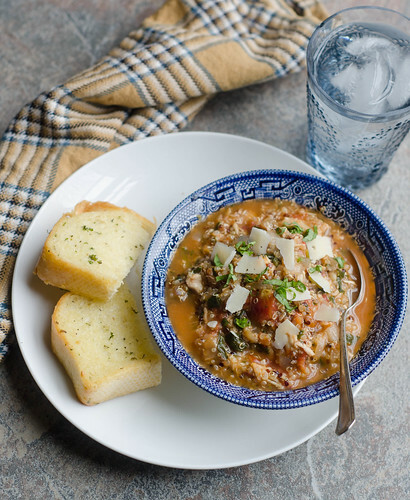 Stir in the tomatoes, broth, and quinoa, and bring to a gentle boil. Cook until the quinoa is cooked through, about 15 minutes. Add the chicken and spinach, and cook until the spinach wilts and the chicken is heated through, another 2 to 3 minutes. Stir in the chopped parsley, then taste and season with additional salt and pepper as needed. If the stew seems too thick, stir in additional broth. Ladle the stew into bowls, then top each serving with chopped basil and freshly shaved parmesan cheese (I use my veggie peeler to just shave off thin pieces from the wedge). Serve. 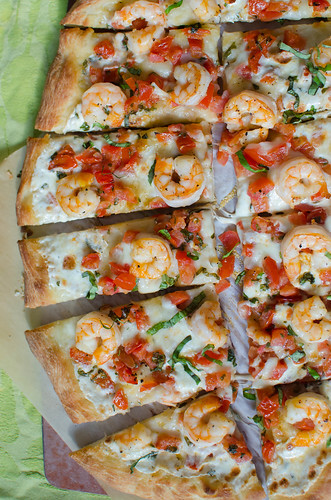 *1 teaspoon of dried herbs can be substituted for the fresh herbs here. I'd recommend using an Italian dried herb blend or even Herbes de Provence. Smith is two years old, and I have to admit that so far it has simultaneously been the most fun and the most frustrating age. He oscillates between being inSANELY adorable and sweet, and ridiculously wild, crazy, and unreasonable. One minute he is splitting his cracker in half and feeding it to his baby brothers, and the next minute he is chasing Caroline around and pulling her hair, knocking the twins over, and throwing a tantrum because I won't let him eat cornstarch. It's hard to stay mad at him though. I mean, look at that face! Recently, our QT time has been spent almost exclusively in the kitchen. He seems to have inherited my love for cooking, and anytime I so much as set foot in the kitchen, he's dragging the step stool over and asking to help. And I love having him in there. It's been especially fun to make recipes that require several steps, or call for using different appliances. His favorite kitchen appliance of the moment is the food processor. I let him press the button, and it absolutely makes his day. These muffins were such a fun project for us to do together one afternoon. Not only did we get to use the food processor THREE TIMES, but we got to eat muffins at the end! 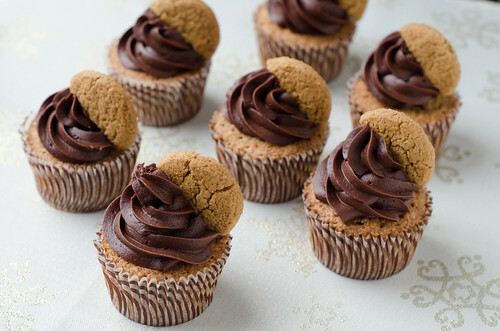 And these muffins are awesome. 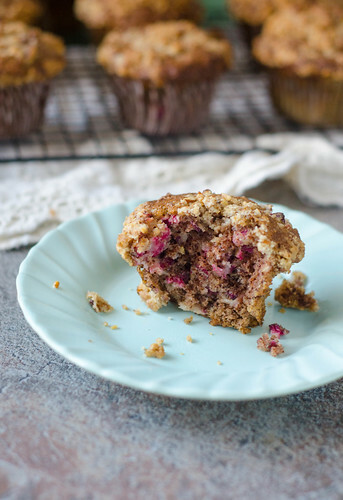 There are a few key points that set these muffins above the rest. First is the preparation of the cranberries. Using fresh cranberries definitely feels more festive and seasonal, but biting into a whole cranberry can be pretty jarring. Here, the cranberries are coarsely chopped in the food processor, along with some sugar and a tiny bit of salt. The salt helps tame the bitterness of the cranberries, while the sugar of course sweetens them a bit. Chopping the cranberries also helps them to be more evenly distributed throughout the muffin, giving you cranberry in every bite. Secondly, instead of just mixing in chopped pecans, you make a pecan flour in the food processor by simply grinding them in the food processor with some sugar. 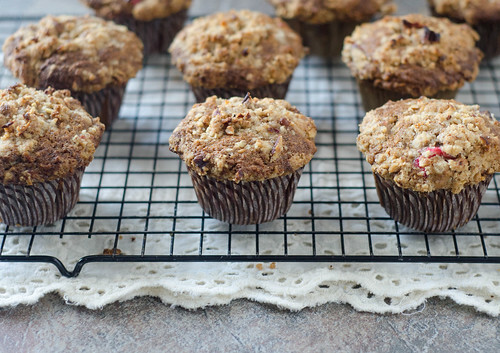 This appeases those who don't like the texture of having nuts added, but it gives the muffins plenty of nutty and delicious flavor. So as to provide extra texture, a streusel topping finishes them off. Preheat the oven to 425 degrees and adjust the oven rack to the upper-middle position. Line a 12-cup muffin pan with liners, or spray with cooking spray. Set aside. For the topping: Combine the flour, brown sugar, granulated sugar, cinnamon, butter, and salt in the food processor, and pulse 4 to 5 times, until the mixture resembles coarse sand. Add the pecan and pulse another 4 to 5 times, until they are coarsely chopped. Transfer the mixture to a small bowl and set aside. For the muffins: Whisk the flour, baking powder, and 3/4 teaspoon of the salt together in a medium bowl and set aside. Combine the toasted pecans and granulated sugar in the food processor, and process until the mixture resembles coarse sand, 10 to 15 seconds. Transfer to a large bowl and whisk in the eggs, melted butter, and milk. Whisk the flour mixture into the egg mixture until it's just combined, with no streaks of flour remaining. 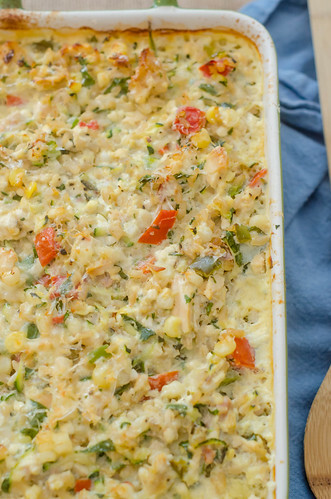 Set aside for 30 minutes to thicken. Meanwhile, pulse the cranberries, remaining 1/4 teaspoon of salt, and the confectioners' sugar in the food processor until very coarsely chopped, 4 to 6 pulses. Use a rubber spatula to fold the cranberries into the batter. 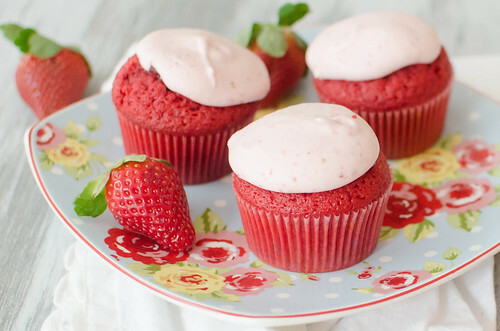 Divide the batter evenly among the muffin cups using an ice cream scoop or large spoon, filling each cup completely. Evenly sprinkle the streusel topping over the batter, gently pressing into the batter to adhere. Bake 17 to 18 minutes, rotating the pan halfway through baking. They are done when a toothpick inserted into the center comes out clean. Cool the muffins in the tin for 10 minutes, then remove them to a wire rack and cool at least 10 more minutes before serving. 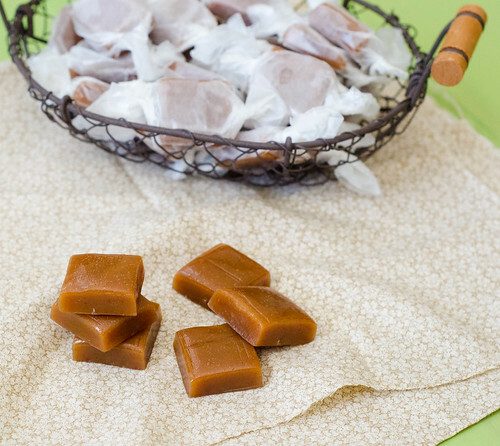 Earlier this fall, when I made these apple cider caramels, my pal Annie and I were texting about their awesomeness. 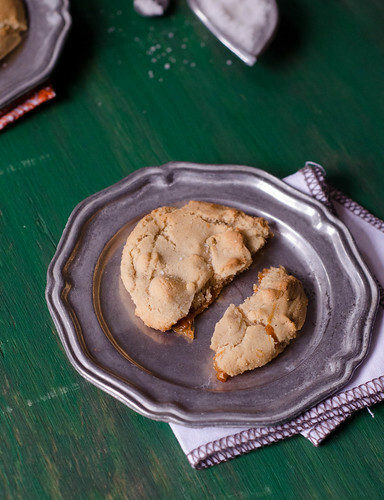 Predictably, our texts turned to all the different treats we could make using them, and when Annie mentioned stuffing them into a browned butter cookie, I knew I'd be making them ASAP. As a general rule, I'm not so much into turducken desserts, but I am head over heels in love with these cookies. They are the perfect balance of sweet and salty, and chewy and crispy. The center is obviously gooey and sweet from the caramel, and the edges are perfectly crispy. The small amount of salt in the caramels themselves helps to balance out their sweetness and the sweetness of the cookie, as does a tiny sprinkle of sea salt over the top of each cookie. 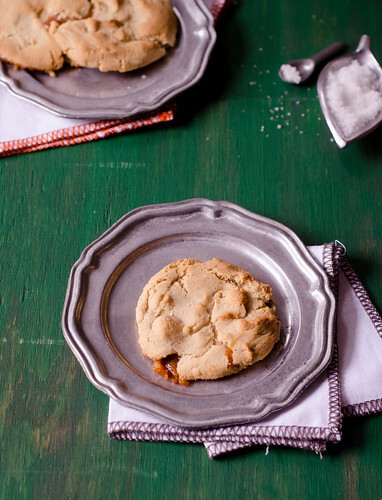 The browned butter gives the cookies a slightly toasted flavor, and just a hint of apple cider comes through from the caramels. Just a whisper of cinnamon comes through, giving them just a little warmth and spice. 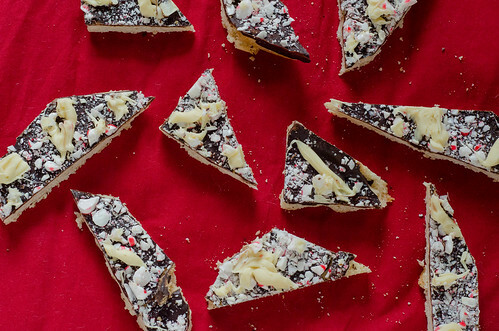 These are the Mary Poppins of cookies: Perfectly perfect in every way. In a medium skillet, melt the butter over medium heat. Whisking continuously, continue to cook the butter until it begins to turn brown and smell nutty. Immediately remove from heat and pour into a bowl. Set aside to cool slightly. In a medium bowl, whisk together the flour, baking soda, cinnamon, and fleur de sel. Set aside. To make the cookies, combine the brown sugar, granulated sugar, and butter in the bowl of an electric mixer fitted with the paddle attachment. Beat at medium speed until well-combined. 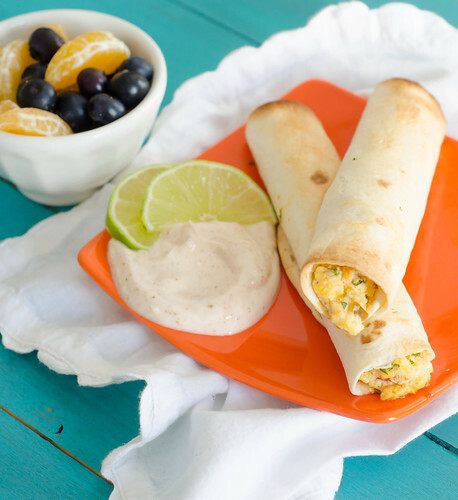 Add the egg + egg yolk, vanilla, and sour cream and mix well. Reduce the speed to low and slowly add the flour mixture, mixing until just incorporated. Preheat the oven to 350 degrees. 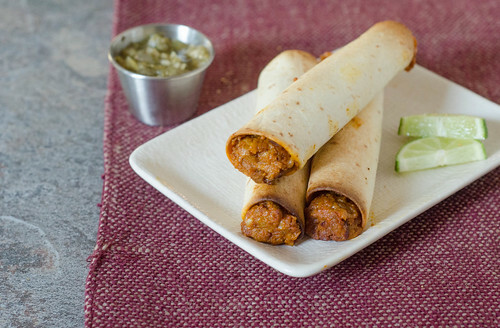 Line two baking sheets with parchment paper or silicone mats. Measure out about 2 tablespoons of the dough, and roll into a ball. Flatten the dough ball in the palm of your hand, then place a caramel in the center. Fold the edges over the caramel, enclosing it in the dough. Transfer to the prepared baking sheet, and repeat with the remaining dough, spacing the dough balls about 2-3 inches apart. Transfer to the refrigerator and chill at least 30 minutes. Bake 13-15 minutes, or until the edges are golden-brown the the cookies are set, rotating the pans halfway through baking. Remove from the oven and immediately sprinkle each cookie lightly with sea salt. Allow to cool slightly before transferring to a wire rack (or before eating them!). Note: These are best eaten warm, and will harden the following day. To enjoy, just reheat in the microwave briefly (about 10-15 seconds). 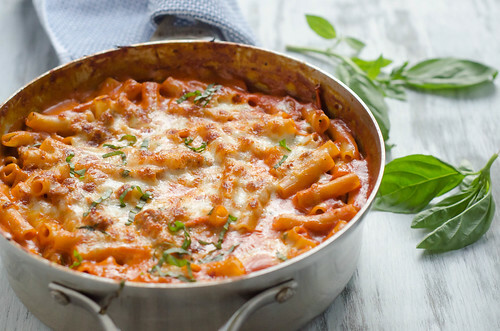 Baked Ziti is one of my favorite pasta dishes, but it's hardly a quick and easy weeknight meal: boil the pasta, make the sauce, cook the sausage, shred the cheese, assemble it all... then bake it for a cruelly long time. Enter my genius friends at America's Test Kitchen. Just as they did with lasagna, they've created a way to have a bowl full of pasta goodness on your table in just over thirty minutes. For real. This couldn't be any easier. First, you cook the sausage in a big skillet; throw in plenty of garlic, just enough red pepper flakes to give it a little kick, and crushed tomatoes. Then comes the best part: stir in uncooked noodles and some water, and the pasta cooks directly in the pan, simultaneously absorbing that delicious tomato sauce. 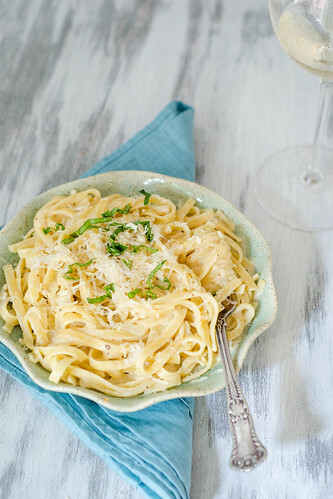 Finish it off with some cream, basil, and cheese, and after a brief stint in the oven, it emerges as a perfectly cheesy, creamy, and oh-so comforting pasta dish. 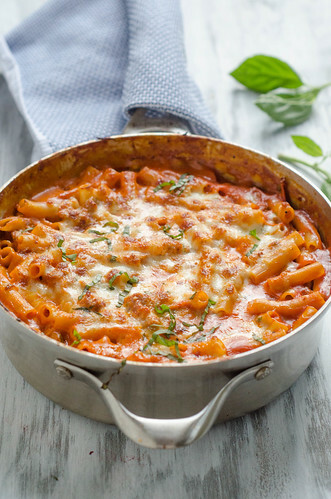 I have made baked ziti countless times, and this is just as good as the best version we've had in the past. And the fact that it's made completely in ONE dish, and in under an hour? Definite win. In a 12-inch oven-safe skillet set over medium-high heat, brown the sausage until no longer pink, about 4 minutes, breaking up any large pieces with a wooden spoon. Stir in the garlic and red pepper flakes and cook until fragrant, about 1 minute. Stir in the crushed tomatoes and 1/2 teaspoon of salt. 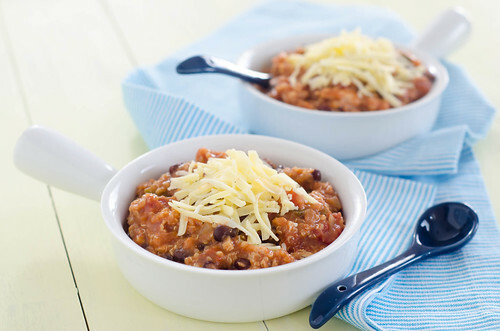 Reduce the heat to medium-low and simmer gently for 8 to 10 minutes. Add the water and ziti and stir to combine. Cover, increase the heat to medium, and cook at a vigorous simmer, stirring often, 15 to 18 minutes, until the pasta is just tender. Remove from heat and stir in the cream, 1/2 cup of the Parmesan, and 3 tablespoons of the basil. Taste and season with salt and pepper as needed. Sprinkle the mozzarella and remaining 1/4 cup of parmesan over the top, and transfer to the oven. 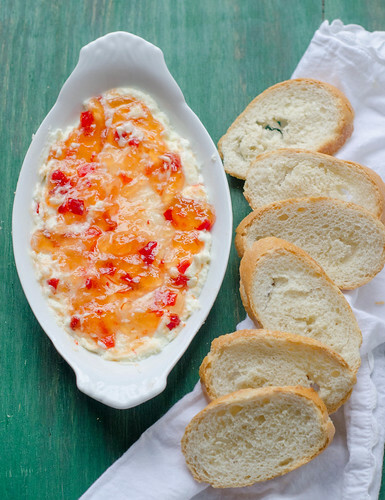 Bake until the cheese has melted and browned, and the sauce is bubbling, 10 to 15 minutes. Sprinkle with the remaining tablespoon of basil and serve. T-minus one day before Thanksgiving. If you're hosting, I hope you have your menu set. Actually, I hope you have a good head start on all of your cooking and prep. As for me, I'm not hosting, but I'll be contributing the stuffing, gravy, and mashed potatoes to our family's lunchtime feast. We'll go to my in-laws' house for dinner, and I'm bringing roasted veggies and a pumpkin cheesecake tart with gingersnap crust for Thanksgiving 2.0. 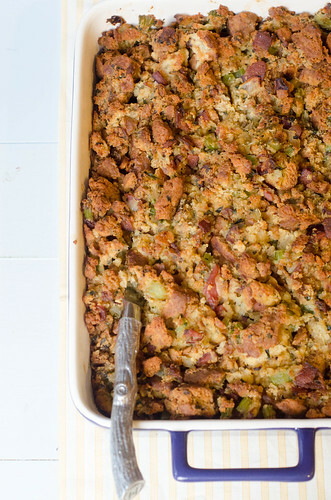 If we're honest with ourselves, one of the best things about Thanksgiving dinner is the entire fridge full of leftovers. I truly do love turkey day leftovers almost as much as the meal itself. I enjoy maybe one to two meals of straight up reheated dinner, and then beyond that I will try and reinvent everything as best I can. 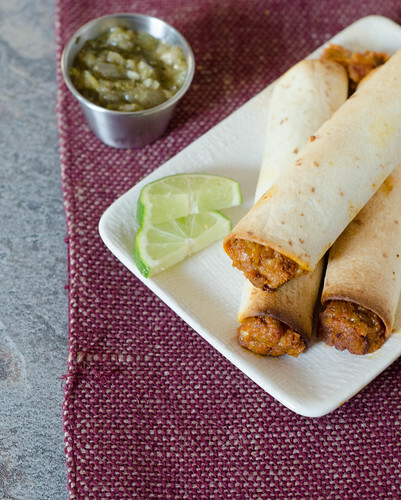 These turkey cranchiladas are a perennial favorite around here (we actually had them for dinner Tuesday night!). And this pulled turkey sandwich with cranberry BBQ sauce is anther standby - especially if you use smoked turkey. 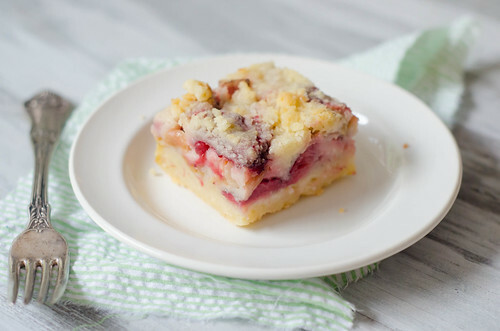 But if you are looking to make another dessert - and really, who isn't - use your leftover cranberry sauce to make cheesecake bars. You might be tired of pumpkin pie by now, and these cheesecake bars are a nice change of pace. 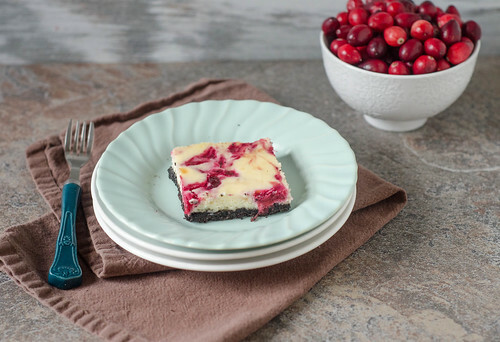 They start with a chocolate cookie crust, topped with a sweet and creamy cheesecake layer, and finally finished with a swirl of cranberry sauce. 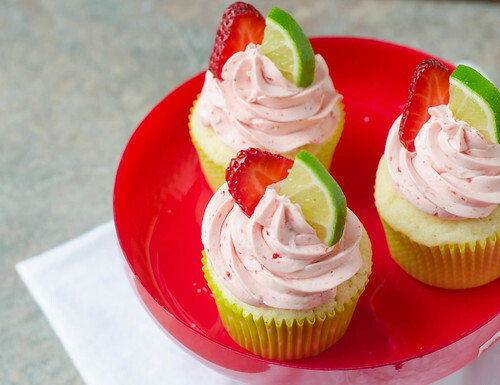 They are the perfect blend of sweet-tart, and they are totally irresistible. I initially planned to use a graham cracker or gingersnap crust, but I think the chocolate is a great and unexpected twist. With the festive swirl of cranberry sauce, they look quite festive for Christmas as well. A perfect treat to move us from Thanksgiving into Christmas. I hope you all have the loveliest of Thanksgivings! Preheat the oven to 325 degrees, and line a 9x13 inch baking dish with foil, leaving an overhang on the long sides. Spray lightly with cooking spray. Add the cookies to the food processor, and process until the cookies become crumbs. Transfer to a medium bowl with the melted butter. Stir to combine well. Press the mixture into the prepared pan, using your hands or the bottom of a glass. Bake 8-10 minutes, then transfer to a wire rack to cool. Meanwhile, using an electric mixer (hand or stand mixer is fine), beat the cream cheese and sour cream together at medium speed until smooth. Add the sugar, and mix 2-3 minutes at medium-high speed, scraping down the sides of the bowl as needed. Add the eggs, one at a time, mixing well between each addition, then mix in vanilla extract. Pour the mixture over the crust and use a spatula to smooth the top. In the now-empty food processor, puree the cranberry sauce with water until it is smooth. Drop spoonfuls of the cranberry sauce over the cheesecake batter, then use a toothpick to create swirls over the top. Bake 35-40 minutes, or until the cheesecake is just set and no longer jiggles in the middle. 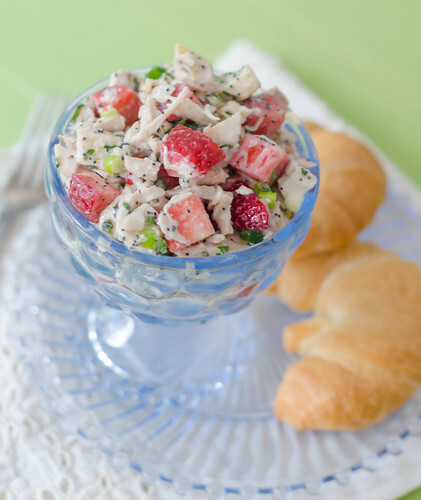 Allow to cool to room temperature, then cover and refrigerate at least 4 hours before serving. To serve, lift the cheesecake from the pan using the foil overhang, then slice into squares with a clean, sharp knife.